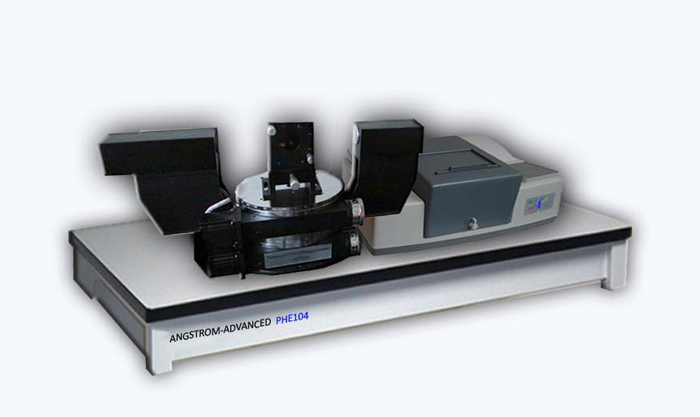 Discrete Wavelength Ellipsometer & Spectroscopic Ellipsometer -Ellipsometry News- Angstrom Advanced Inc.
September 11, 2017 Stoughton, MA- The PHE-101 Discrete Wavelength elliposometer Ellipsometry-bringing the best in ellipsometry technology at the most affordable prices.Angstrom Advanced offers full range of ellipsometers for thin film thickness measurements, optical characterization for refractive index and extinction coefficient analysis (n & k). Angstrom Advanced Inc ellipsometry can be used for many different applications and are used in some of the most prestigious laboratories such as MIT, NASA, UC Berkeley, Yale University, Duke University, NIST and many more. Please refer below published paper and read more about PHE-101. March 2, 2017 Stoughton, MA- The PHE-102 series elliposometer is a variable angle spectroscopic ellipsometer operating in the spectral range 250 - 1100nm, 250-1700nm or 250-2100nm. And it is one of the excellent equipment for doing experiment and research. Lots of researchers and professors had used PHE-102 for their experiments. Please refer below published paper and read more about PHE-102. December 6, 2016 Stoughton, MA- The PhE101M Multi-Wavelength Ellipsometer is an ideal discrete wavelength ellipsometer for measuring the refractive index and thickness of single and multi-layer films at several wavelengths. It has the widest variable angle (10-90°>) which is adjustable in steps of 5°s, with an accuracy of 0.01° (As an option, the angle of incidence can be varied continuously). 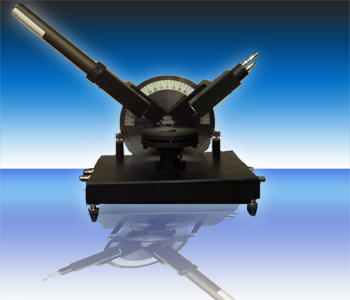 The standard wavelength of the PHE101M ellipsometer is HeNe laser at 632.8nm. The wavelength can be selected by a combination of 543nm, 594nm, 612nm, 635nm to 1164nm. Infrared sources at 0.83, 1.31 and 1.52 μm are also available. The PhE101 ellipsometer is very easy to use and can be equipped with our new laser alignment tool which greatly improves the ease of use and speed of operation when compared to conventional alignment method. November 23, 2016 Stoughton, MA- The PhE104 Infrared Spectroscopic Ellipsometer can be operated over the wavelength range 400 - 4000 cm-1(2.5-25um). PhE-104 NS-IRSE infrared spectroscopic ellipsometer is a unique infrared spectroscopic ellipsometer instrument based on monochromator-dispersion. It features highest accuracy, precision and is more economical compared to FT-IR spectrometer. Infrared ellipsometry is a great new technology that proves invaluable to solid states and chemistry fields. It can be used on any substrate and offers high sensitivity on thin films down to surface passivation layers. Information on the optical constants,film thickness and chemical structures can be derived from the measurements. November 14, 2016 Stoughton, MA- The PHE series professional software provides predefined and user defined patterns, auto return positioning and graphical display of the data maps. The step resolution is up to 0. 4 um. For single transparent films the homogeneity of the thickness and refractive index can be displayed graphically as a color-scale plot, a contour plot or a 3D plot. 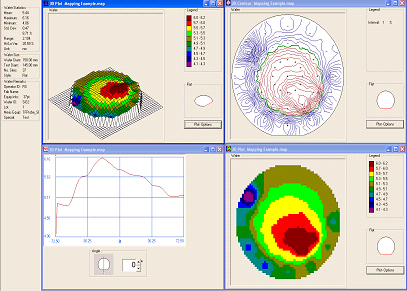 The wafer mapping option includes a precision x - y stage(50X50mm, 100X100mm, 150X150mm or 200X200mm) with computer controlled operation. November 7, 2016 Stoughton, MA- The PHE-103 series elliposometer s a new model which adds the Transmission and Variable Angle Reflection function. 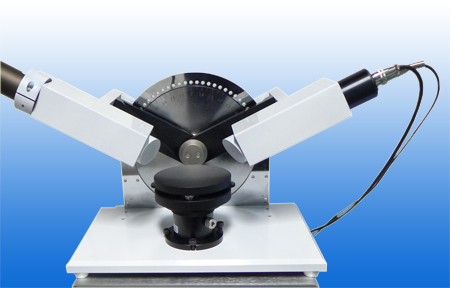 This variable angle spectroscopic ellipsometer operating in the spectral range 250 - 1100nm or 250-1700nm or 250-2100nm. In the PHE-103 a broad band white light source is used to illuminate the sample spot. The layer stack imparts a change in state of polarization to the light and is reflected back through the analyzer and into the detector; where it is measured under the ellipsometric parameters of Psi and Delta. The spectral dependence of the refractive index, dielectric constants of the materials and other parameters under measurement are determined by comparing the measured data to a theoretical model, which defines the layer structure in detail. 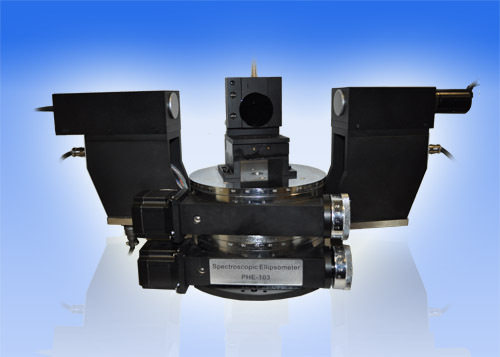 November 1, 2016 Stoughton, MA- The PHE-102 series elliposometer is a variable angle spectroscopic ellipsometer operating in the spectral range 250 - 1100nm, 250-1700nm or 250-2100nm. And it is one of the excellent equipment for doing experiment and research. Lots of researchers and professors had used PHE-102 for their experiments. Please refer below published paper and read more about PHE-102. S.H. Mohamed, SnO2 dendrites nanowires for optoelectronic and gas sensing applications. Timothy P. Enright, Gradient and patterned polymer brushes by photoinitiated â€œgrafting throughâ€� approach. October 27, 2016 Stoughton, MA- Ellipsometry is an optical technique for investigating the dielectric properties (complex refractive index or dielectric function) of thin films. 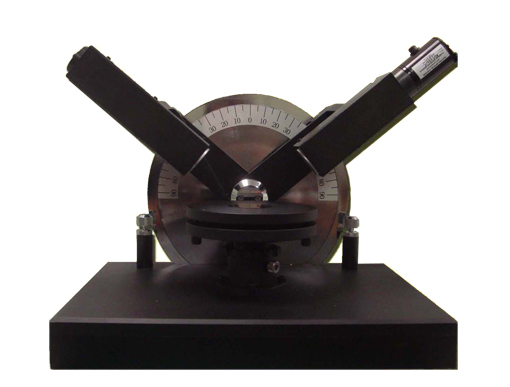 Ellipsometer measures the change of polarization upon reflection or transmission and compares it to a model. It can be used to characterize composition, roughness, thickness (depth), crystalline nature, doping concentration, electrical conductivity and other material properties. It is very sensitive to the change in the optical response of incident radiation that interacts with the material being investigated. Handbook of Ellipsometry edited by ompkins, H.G. and Irene E.A. 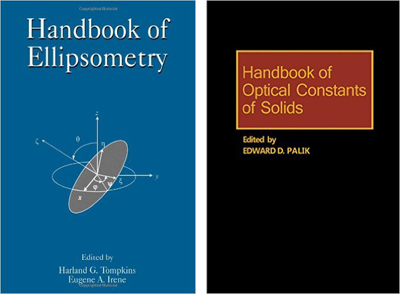 and Handbook of Optical Constants of Solids edited by Edward D. Pa have everything you ever wanted to know about ellipsometer. We recommended!! October 26, 2016 Stoughton, MA- New patent applied to Angstrom Advanced PhE101S Variable Angle Discrete Wavelength Ellipsometer for optimizing the measurement of Solar Cell application, increased the accuracy, efficiency of measurement. 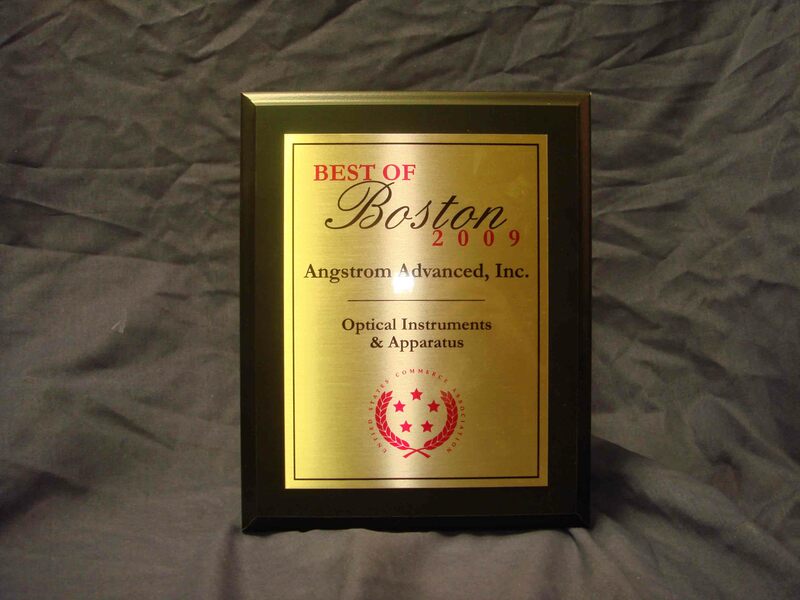 September 13, 2016 Stoughton, MA- Angstrom Advanced Inc finished the thickness measurement of contact lenses project recently. 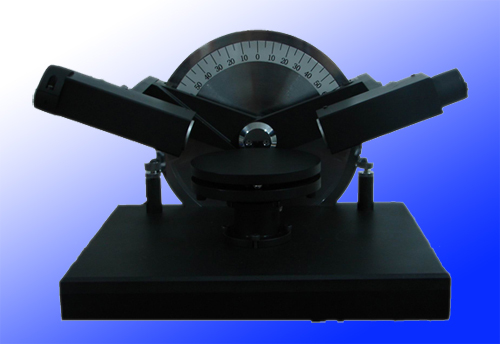 The equipment PHE101S Discrete Wavelength Ellipsometer has full capablility of measuring this kinds of soft, complex sample. For more details, please contact Angstrom Advanced. August 9, 2016 Stoughton, MA- The new software of PHE101S Discrete Wavelength Ellipsometer is released for CdS, ZnO, Sb2Se3 measurement. The PHE101S Ellipsometer has patented minsearch technique for rough layer of solar cell. December 16, 2013 Braintree, MA- Angstrom PhE104 Infrared Spectroscopic Ellipsometer infrared spectroscopic ellipsometer is a unique infrared spectroscopic ellipsometer instrument based on monochromator-dispersion. It features highest accuracy, precision and is more economical compared to FT-IR spectrometer. Infrared ellipsometry is a great new technology that proves invaluable to solid states and chemistry fields. It can be used on any substrate and offers high sensitivity on thin films down to surface passivation layers. Information on the optical constants,film thickness and chemical structures can be derived from the measurements. 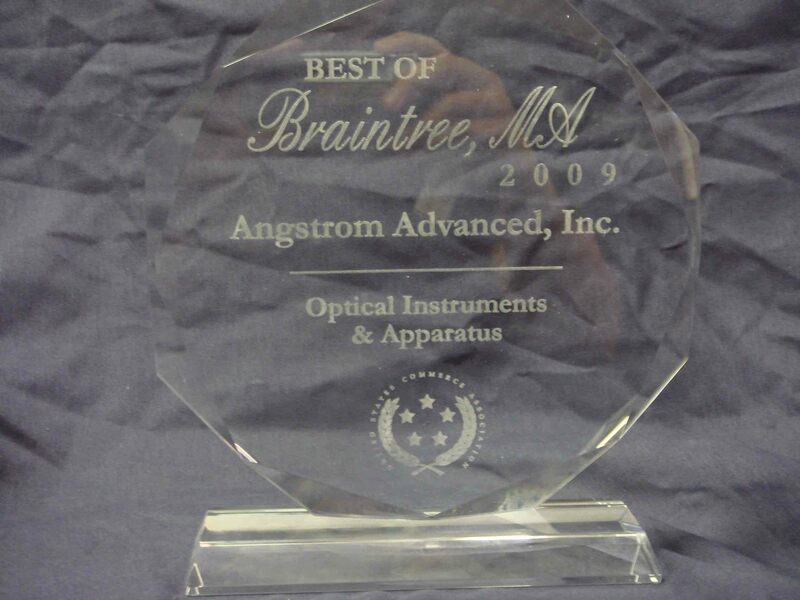 October 9, 2009 Braintree, MA-Angstrom Advanced Inc., Angstrom Advanced received the award of Best of Boston and Best of Braintree for Optical Instruments and Apparatus. This is a big landmark for Angstrom Advanced Inc., proving to the community and the world around us, our determination to manufacture great products on the market.